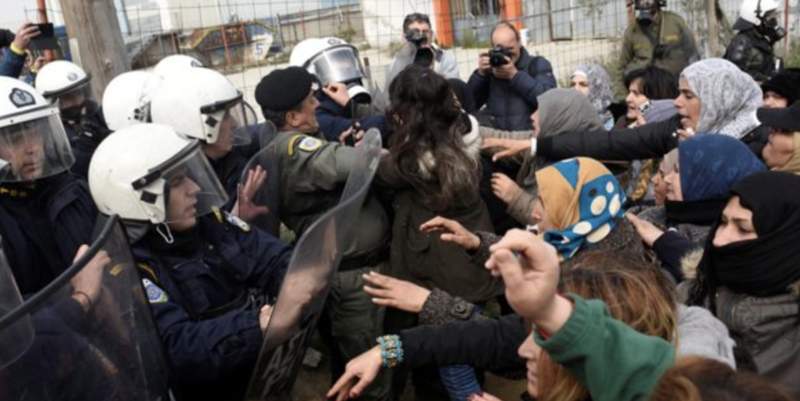 False rumors that the Balkan states were preparing to open their borders to allow the tens of thousands of migrants who have been stuck in Greece for years to travel on to Europe have led to days of skirmishes between Greek police and migrants near the country's northern border. According to Reuters and Al Jazeera, anti-riot police used tear gas and flares to try and force hundreds of migrants hoping to cross into North Macedonia to leave the area and return to their camps. Greek authorities even sent buses to bring some of the migrants back to their refugee camps, but the migrants refused to board and demanded to be let through. 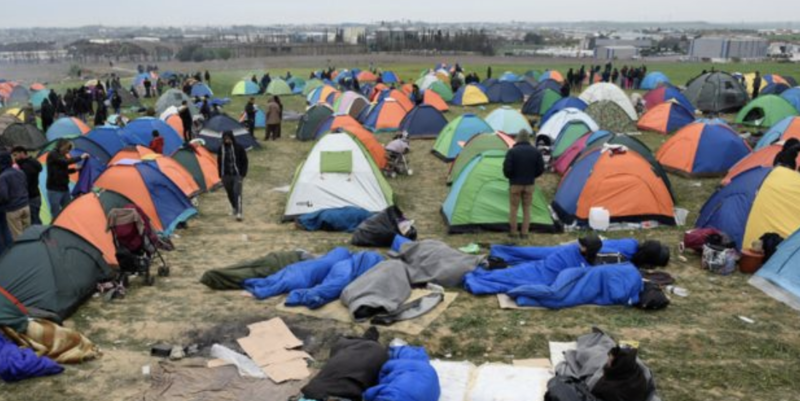 The skirmishes have been going on for days, as thousands of migrants have pitched tents in an area near an official migrant camp and steadfastly refused to leave. The first bouts of unrest flared up on Friday. At around midday on Saturday, riot police fired teargas at dozens of people, some of whom were carrying children. Meanwhile, migrants hurled stones and bottles at the police as they tried to break through the cordon. Some lit fires. On Sunday, hundreds of migrants remained in the area, though some had taken the Greek government's offer to travel back via the buses. Hundreds have been camped out in a field outside the official migrant camp in Diavata, Greece. The migrants insisted they didn't want to fight with police - they just wanted to make it to Macedonia. "We don't want to fight with the Greek police," said 36-year old Yaser, a Syrian refugee, sitting on a blanket with his baby son in his arms. "We want to go to Europe, we don't want to stay in Greece," he told Reuters through an interpreter. "We will stay here until the borders open, we don't have any other choice," she said, standing close to where the clashes took place. Jana Frey, country director for the International Rescue Committee Greece, said the unrest highlighted "the amount of false information being presented to asylum seekers and refugees." "IRC staff have received reports of refugees who are being lured to the border by smugglers, who are feeding them lies about the border to Europe opening up," she said. Tens of thousands of refugees and migrants from Syria, Iraq and Afghanistan have been stuck in Greece since the Balkan countries closed their borders in 2016.